Parents want to know that they are making a good choice when they are grocery shopping, and while most products offer little more than a view through the package and an expiration date, Fresh Express is sharing what’s inside the bag to give parents peace of mind. What do you really know about the hundreds of different foods you buy at the grocery store? Fresh Express wants to give you the “inside story” on what’s inside their bagged salads. Their new online Leaf Locator™ tool, introduced today, tells you where the leafy greens in your particular bag of salad were grown. 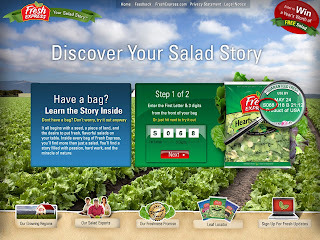 The Leaf Locator tool lives on a new micro-site created by Fresh Express called “Your Salad Story™” which shows how their salads are cared for from field to store. 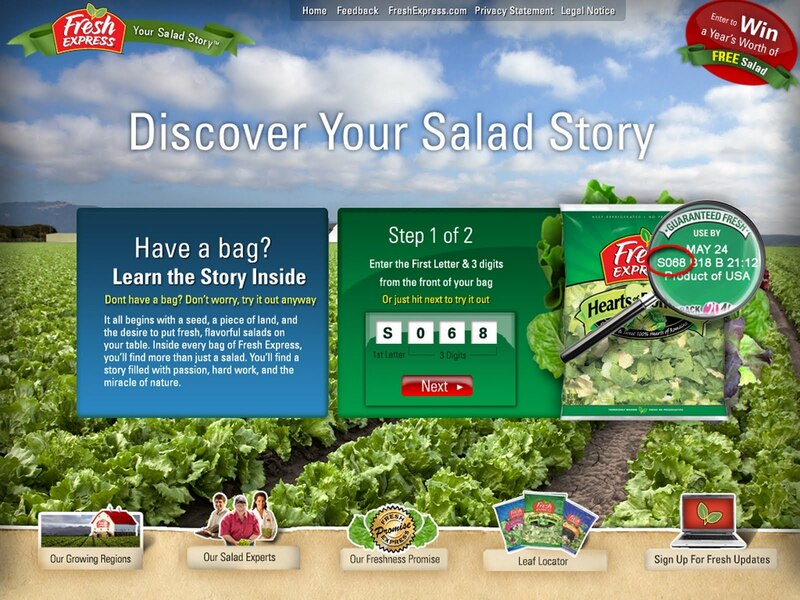 Your salad story awaits you at http://www.FreshExpress.com/salad. Does it really matter? The Food Channel thinks so. They list “Food Sourcing/Vetting” as one of the top 10 food trends of 2010. Most packaged foods are literally wrapped in a mystery, offering little more than a view through the package and an expiration date to assure shoppers about what’s inside. You can’t make informed purchase decisions when you’re left in the dark. This information is revealed by entering ID codes found on Fresh Express bagged salads into the Leaf Locator tool at http://www.FreshExpress.com/salad (cole slaw and organic salads excluded). Foodies to picky eaters alike are invited to choose from 20 varieties of Fresh Express salads that are tracked by the Leaf Locator, totaling nearly 50 million bags each month. Beyond showing you where your salad sprouted, the “Your Salad Story” micro-site lets you meet the people who made your salad, such as Master Blender Rachel Hackbarth, who pairs flavors and textures to create new salad blends, and seed expert Randall Hauptmann, who spent 10 years creating one new lettuce variety. Want to learn about your “Salad Story?” Try out the Leaf Locator, and while you are there, sign up for Fresh Updates so you never miss new products or recipes! 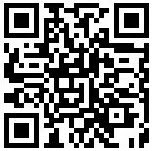 Sign up for Fresh Updates and you will be automatically entered to win an entire YEAR’S WORTH of bagged salad (one bag every week for one year)! Winners announced April 23,2010!! Thanks for sharing. Melinda loves salad and would be in heaven if she won it for a year.